I apologize for any typos in this post, but I had macular surgery on my left eye on Monday and I’m not suppose to read. I wanted to let those of you that follow this blog know why I haven’t been posting this week. The very worst part of this kind of surgery is the requirement that you remain in a Face Down position for 5-7 days after surgery. 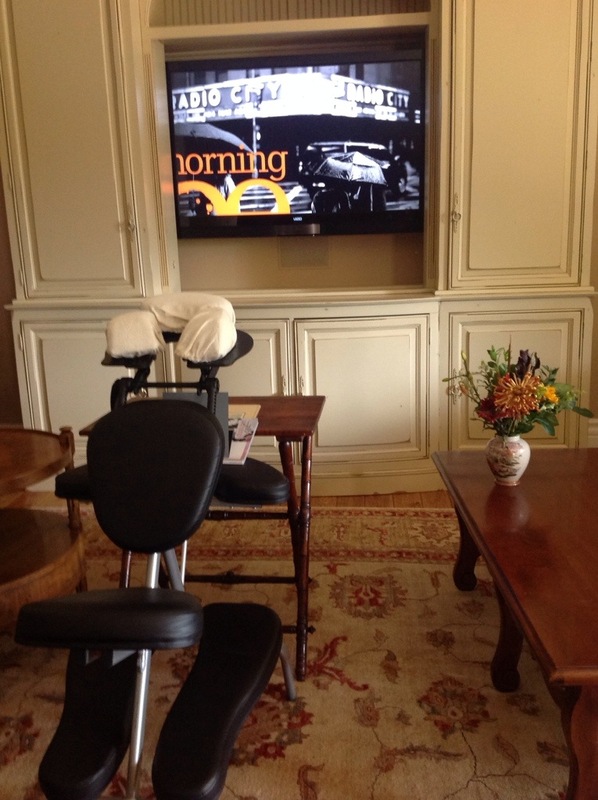 I have this special chair that makes it a little easier by allowing TV viewing thought a mirror reflection. This little trial has given me a lot more time for prayer and spiritual reflection. I’ve been meditating on the wonders of how our bodies are made and even God’s goodness at allowing scientific discovery and especially medical science discoveries that allow things like this to be corrected. During the surgery I saw incredible colors and patterns splash across my eye. I don’t know what the surgeon was doing that caused it, but I suggested they somehow film it and show it in IMAX theaters. I’m also really thankful for the prayers of many friends and the help and support of family for meals, massage, and company during the long hours of the day spent in the face down position. I’ve been thinking of the many shut-ins that live for years in some kind of discomfort or disability. Now I know why they so appreciate a visit. I have complained so often about there not being enough hours in a day. This has opened my eyes to a new perspective, a day that seems to stretch out painfully and slowly march on minute by minute. Here’s a word of exhortation, a verse that came to mind after friends came by with flowers, my daughter came by with yummy soup, another daughter brought dinner and stayed until my husband got home from church, and my granddaughter gave me a much appreciated neck massage. To visit the fatherless and widows in their affliction, and to keep oneself unspotted from the world. I don’t want to sound like a celebrity who takes up a cause after it touches them, but I don’t think it hurts for all of us to be reminded that others around us can be blessed by just a sliver of our time and a little demonstration of love that says we care. I hope to be back to blogging next week. If you’d like to leave a prayer request I happen to have extended time open this week! Sending you healing energy and prayers. Thanks so much. I’m not suppose to read much, but I really appreciate your kindness and prayers:). See you all back here next week, Lord willing. So sorry you have to go through this, but thankful, like you said, that you were able to get things corrected. Oh my, the chair itself looks uncomfortable! What a tremendous blessing to have those wonderful ladies bless you with such sweet care and delicious food. They’re keepers ;). I will pray for fast healing and patience in the process. From my experiences with past surgeries, it is the waiting that is usually the hardest part! Thinking of you, cousin. I’ve been thoroughly enjoying your blogs and sharing them this week during faculty worship. I hope you feel better soon. Kelly, I am encouraged as always, even during your trial you speak wisdom into our hearts. For some reason I had the impression you had to sleep this way, but it sounds like this is 24/7?? Oh my!! Teaches me God is able to sustain, he doesn’t keep us from discomfort, and that Love sustains too, thank you for sharing.I will be in continued prayer for you. I’m so encouraged that you find encouragement here. I take it as a thumbs up from Jesus to keep praying and writing. A new opportunity to share His love and His word.